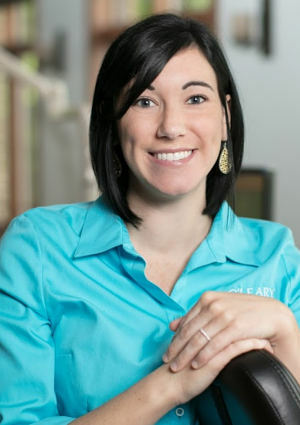 I assist Dr. O'Leary with bandings, sterilization, oral hygiene instructions, and help with completion of patient treatment. I love asking our patients how their day is going and hearing what exciting things they have planned for their weekend. I work with fabulous people who laugh and learn new things every day. Dr. O'Leary makes the staff feel like family. He is very understanding and caring to all the patients and staff. He enjoys what he does and that reflects onto our patients. My husband Jimmy and I have one son named Wyatt and a daughter named Taylor. We also have a beagle named Dixie. In my free time, I enjoy reading good books, doing arts and crafts, and spending time on the lake with my wonderful family. 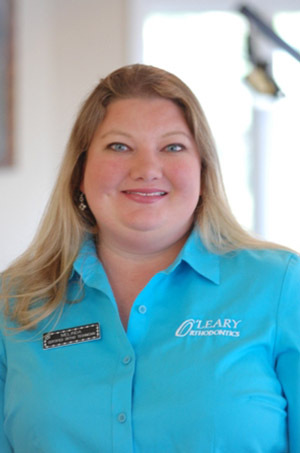 I help assist Dr. O'Leary with chairside appointments such as bandings and bonding appliances. I help with sterilization of instruments and also educate our patients on proper care for their braces. I really enjoy meeting our new patients and their families. We love to laugh and have a good time at the office. I believe that is what makes this such a wonderful place to work. I am married to my husband Karl, and we have one daughter Maren and one handsome son Harrison. We also have two dogs, Max and Diesel. I love watching movies of any kind, doing crafts, and family time with my daughter. I also enjoy reading books and taking Diesel on walks and jogs. I assist Dr. O'Leary with bondings and bandings, cementing of appliances, patient adjustments, and education of oral hygiene. I really enjoy interacting with our patients of all ages and knowing that I'm involved in improving something as important as someone's smile and self-confidence is the ultimate bonus. Having fun and being personable helps to keep our patients at ease and ensures that their experience is as pleasurable as possible. All of our employees are truly friends, both in and out of the office. We never miss a chance to laugh and I really feel that translates in our relationship with our patients. My husband's name is Jonathan and I have a Double Dapple Dachshund named Ryder who demands my full attention and a sweet, energetic mix named Bogart. I love home projects and repairs, gardening, and yard work. Cooking is as much my passion as eating! 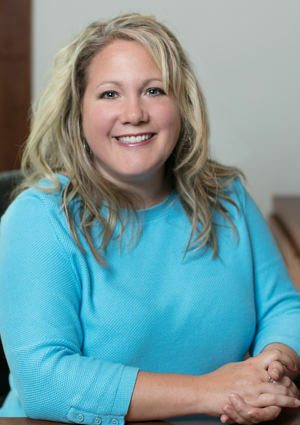 I assist Dr. O'Leary with bonding, help complete patient treatment, and educate our patients on their treatment. I love getting to know our patients and working with our wonderful team. We always have so much fun in our office. Everyone that works here loves to laugh! 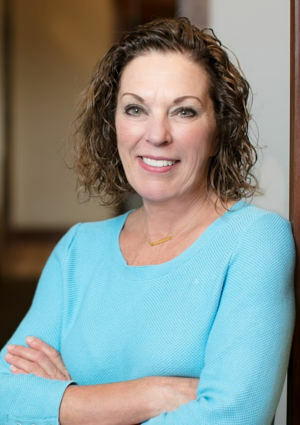 Dr. O’Leary is a wonderful person and a great orthodontist. He cares for his patients, and his staff, like family. My husband Paul and I have three children, Caroline, Katy, and Paul-Joseph, and two dogs named Bud and Miley. When I’m not in the office, I enjoy playing tennis, horseback riding, and being a mom. I have been in orthodontics for more than 25 years. 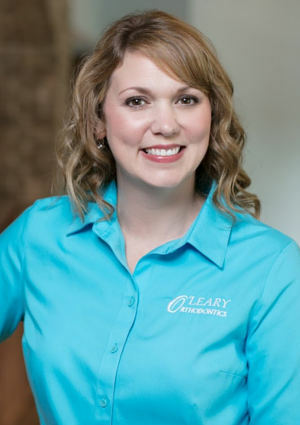 I assist Dr. O'Leary with putting on braces, help complete patient treatment, and educate our patients on hygiene and the overall health of their teeth. I love getting to know my patients along with their families. Watching them grow up and change into teenagers during our treatment time is my favorite thing about my job. Dr. O'Leary is great to work for. He is very laid back and such a perfectionist. He does beautiful work. I love working here because of the amazing staff. We all get along so well together-it makes the patients feel more at ease. I have a wonderful husband Stephen and two amazing kids, Reese and Ryann. We love to travel and spend time during summer at the lake. We stay on the go, but I am always happy to spend time with my family. 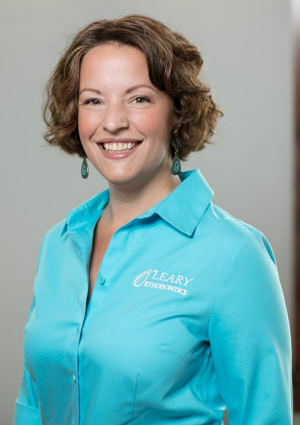 I am the financial coordinator for Dr. O'Leary. 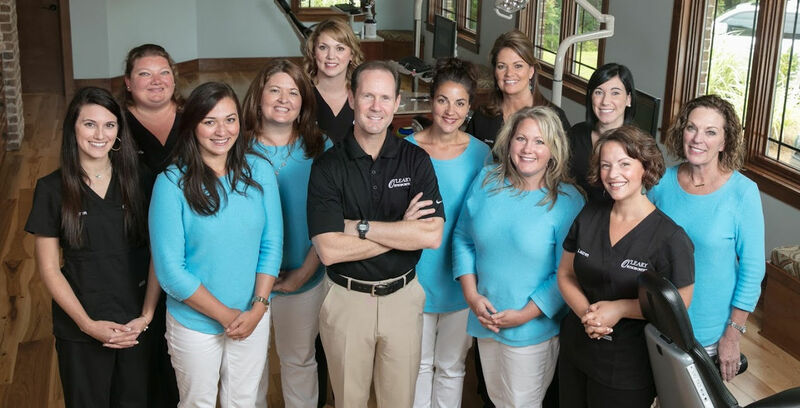 I handle all of the insurance and finances and have been in the orthodontic field for more than 20 years. 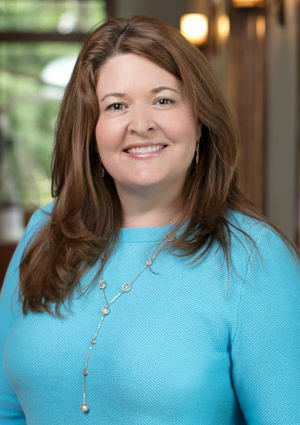 I love getting to know all of our patients and parents and assisting them with their financial needs and questions. We have an amazing team that I love working with. I live in the northeast part of Columbia with my two dogs and three cats. I have three children and five grandchildren with whom I love spending time. I also love to shop and work in the yard on the weekends. 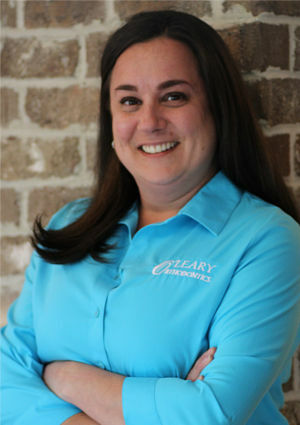 I assist Dr. O'Leary with all of your orthodontic needs. I help to place braces on your teeth, change wires and colored ties, and remove your braces when it's time to unveil your beautiful new smile. I truly love doing what I do because I get to follow my patients' treatment from start to finish. It makes me so happy to know that I helped to make a difference in your life by straightening your smile! Our team is known for our compassion and family like bond. I truly enjoy coming into work everyday. My Husband David have 2 beautiful girls Amelia & Ellison. We also have 2 dogs named Maddie and Lilly. In my free time, I enjoy spending time by my pool, playing with my animals, and cooking. Hi, I'm Danielle! I am a chairside assistant for Dr. O'Leary. I can assist him in a wide variety of procedures ranging from reties to bondings and braces removal. I have been a dental assistant since 2007 and have held a few positions in that field but my most favorite has to be Orthodontics! I enjoy orthodontics because I like fixing things. As part of a grander scheme, it brings order out of chaos. I live in Irmo with my husband, Jim, our son, Tanner, and we also have a daughter, Rebeckah, attending college in North Carolina. In my spare time, I enjoy spending time with our three dogs. I also love to crochet, cook, and spend time with friends and family.